I inadvertently became a landlord a few years ago when I rented out my flat in order to take a gap year working for my old church. The church provided accommodation for me, but to cover the mortgage I needed to rent out the flat. 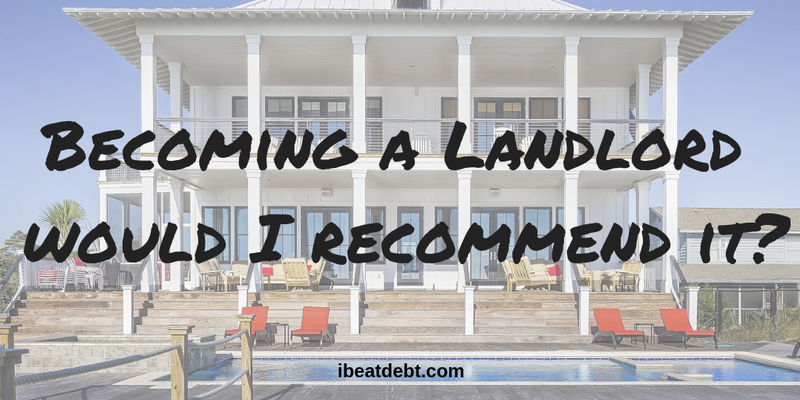 I spoke to a few rental agencies and decided upon one which I was most impressed with. They were not one of the national agencies, they were a local one, but they just seemed to present themselves better and I felt that I could work with them better than any of the other agencies I spoke to. As I was staying in the area I decided to go for the tenant finding option only, and not the managed service – as I would be local if anything went wrong. One of the other things that they sold themselves on was the comprehensive reference service any prospective tenants would need to go through – which bearing in mind that was my home, and I was going to be returning to it and it wasn’t an investment property was doubly important to me. They marketed my property well, and presented me with someone who was interested in renting my flat. She was a more mature lady, a teacher returning to the area from living abroad and after a brief negotiation on the price, I got my desired figure per month. I wish I could explain to you how wonderful she was. She respected my home and my furniture. She was polite, paid her rent on time if not early and made it an incredibly easy year. There was from recollection one incident where the washing machine died, but I got someone out to fix it and she was very happy. I genuinely couldn’t have asked for a better tenant. 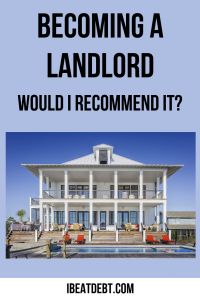 So would I recommend becoming a landlord? I would not recommend becoming a landlord as I know I won the tenant lottery. Someone in the same block of flats as me rented their flat out subsequently, through a different agent and they had no end of problems. From the agency messing up the contract so they couldn’t get back in to their home after they went travelling, to the total lack of respect that the tenants had for their property, it has completely put me off. They aren’t the only ones too. Someone else I know rented out their home and again, the tenants just had no respect for the property. When they left it was dirty and smelly and just not very nice to live in. These horror stories barely scrape the surface of the things that people do. Check out shows like Can’t Pay, We’ll Take it Away or Nightmare Tenant, Slum Landlord for more awful tales of property being destroyed, or having tenants who refuse to pay their rent leaving the landlords out of pocket. Don’t get me wrong – there are some pretty terrible landlords out there too, who are letting people live in conditions which are not appropriate or even healthy! There are also the sad stories of people who have genuinely fallen on hard times and are struggling to pay their rent, but these are in the minority. I see so many stories of people buying property (which is in itself an investment) and then renting it out for extra income. I just don’t think it’s worth the risk or the stress, especially if you need the rent to be paid full and on time to pay for the mortgage. As for renting out your home, which you would be returning to, there is no way I could take that risk again. I’m older, maybe a little wiser (although I doubt it) but I could never get that lucky again so I would rather not take the risk! ← Can you make money blogging?